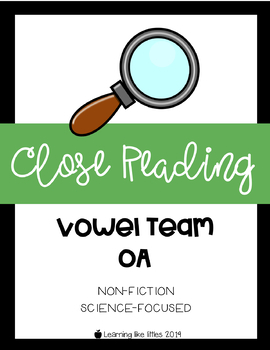 Close Reading is an excellent and effective way to promote fluency, strengthen comprehension, and embed literacy into your science instruction! The close reading passage included focuses on the vowel team OA while comparing and contrasting two of our favorite amphibians, frogs and toads. Reading the passage multiple times with a different job each time encourages reading with a purpose! 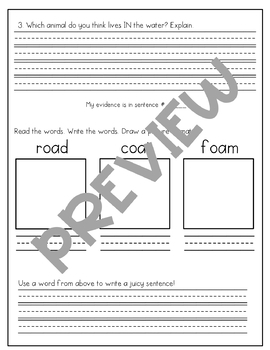 The product includes a reading passage, comprehension questions, phonics practice, and vocabulary development. Students will even cite their own evidence! It includes two versions of the same passage, one with numbered sentences and the other without. I usually scaffold students into numbering their own sentences! Thank you for your interest in my product. I welcome any feedback!